This last weekend we took a break from sorting the garden and on Sunday we headed north to just outside of Derby for a return to the Centaura Field Bowmen grounds. 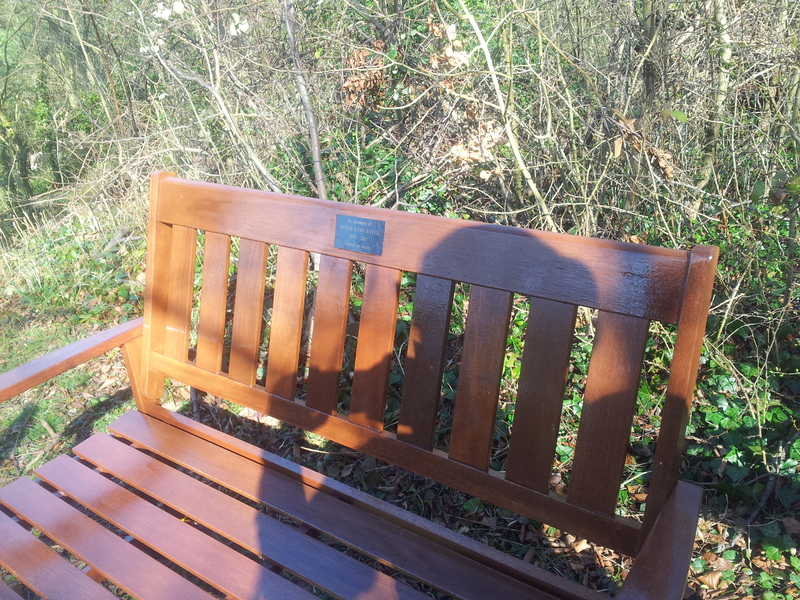 It had been a couple of years since we had last shot this ground and not since Pete Bates had passed away. 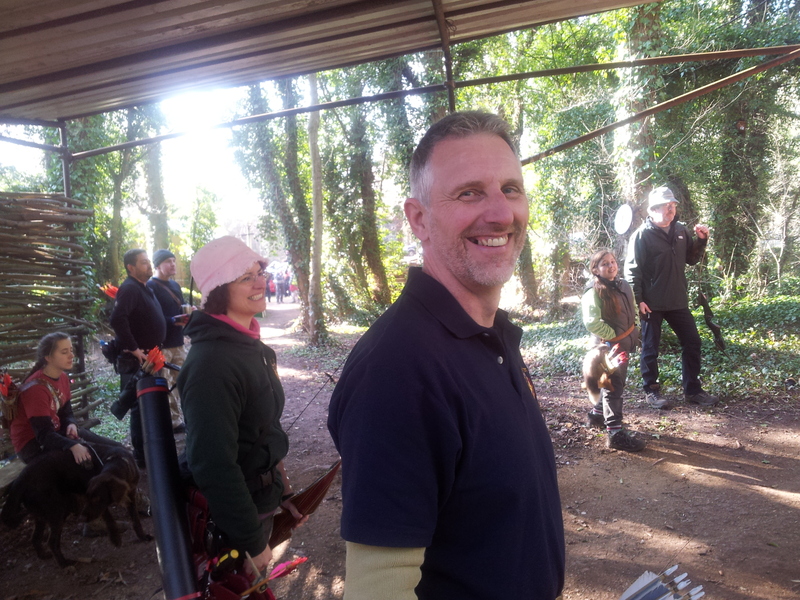 Pete had been a very well known character on the field archery circuit in the Midlands and had been the driving force behind Centaura for years. 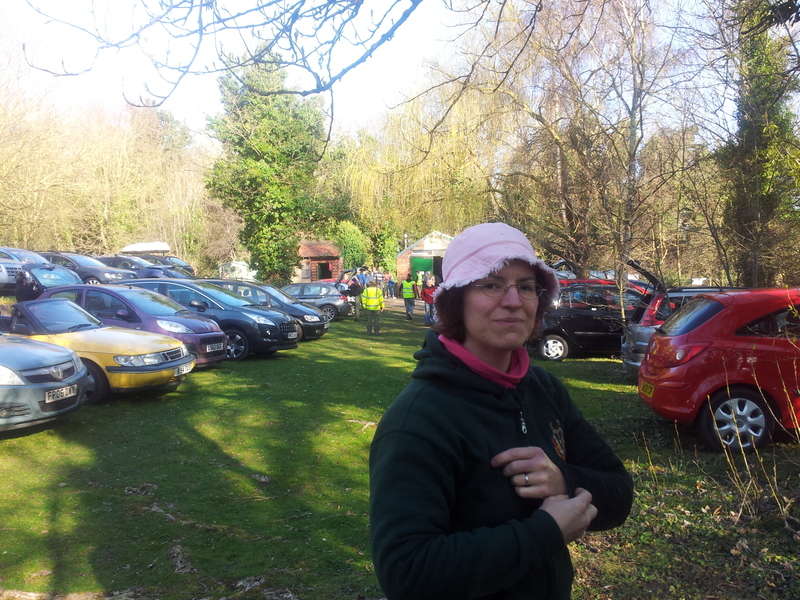 Considering the very wet winter weather we have endured in the UK, Sunday was an absolutely lovely early spring day. Bright sunshine and blue skies all day, with our temperature gauge in the car showing 15 degrees when we left to head home late afternoon. Pub beer garden weather or better still shooting weather. 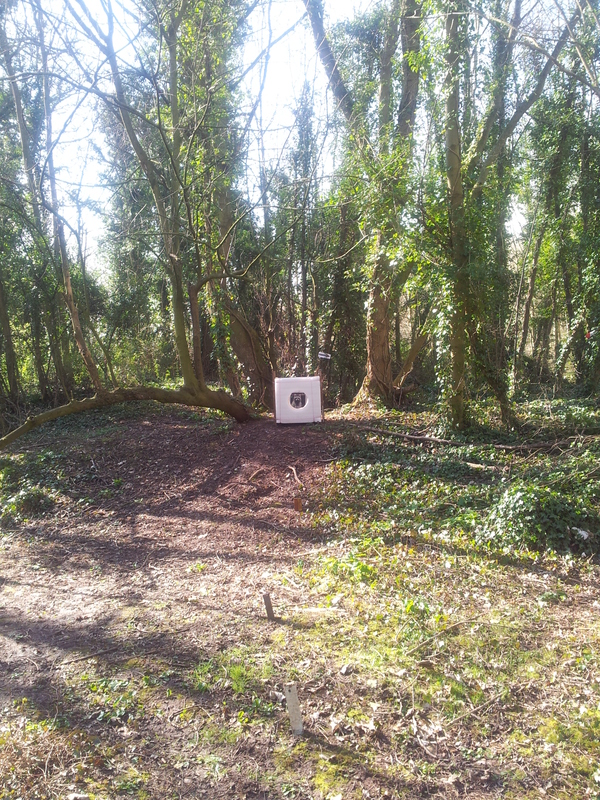 The shoot was to be a wooden arrow only shoot, with the course being a 36 target, mix of 3D and paper faces. Normally wooden arrow only shoots have a low turnout but there were over 100 archers split across the different classes of longbow American flat bow and hunting tackle attending the event. I think it would fair to say that the shoot was probably one of the most relaxed and laid back shoots I have been on for a very long time. Everyone was smiling and relaxed with very few hold ups on the course. There was a brief lunch break between 12:30 -1:15 which was necessary as the club ground doesn’t really make for a shoot through. The club is presently working with the local council on a 10 year project of woodland management to rejuvenate the woodland. 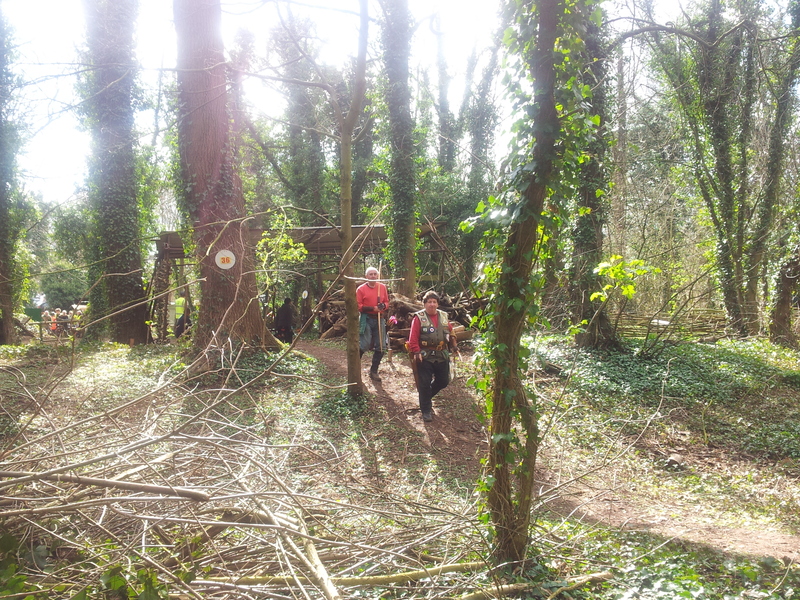 It’s very obvious how much work has started with clearing and felling of some trees which has opened up areas. As I’ve said earlier the 36 target course felt split into two main sections one part having the shorter more technical shots dictated by the terrain. We started on peg 11 which I will call the polo shot. A hole had been cut into a foam boss with a second boss positioned some 5 yards or so behind. You had to shoot through the hole to hit the target, a paper raccoon. 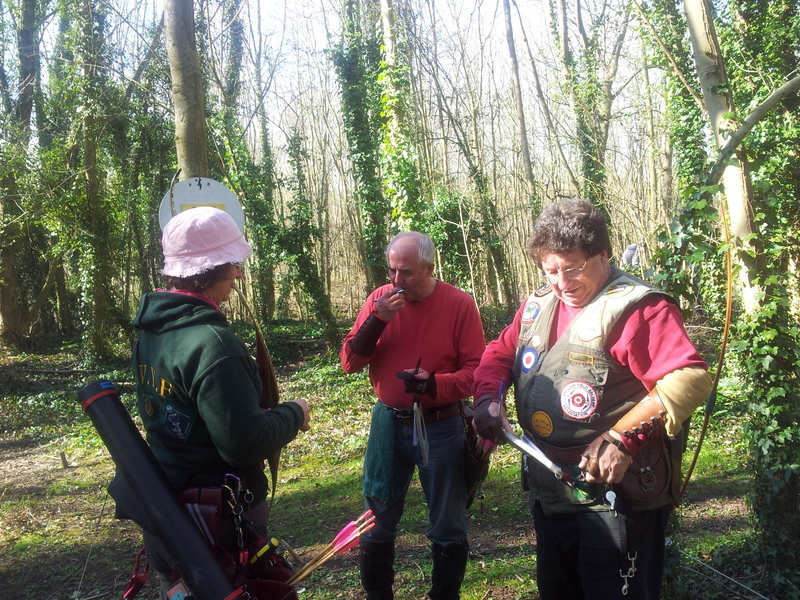 We were delighted to see Dave and Graham waiting on the peg, longbow archers we’d shot with before. Our day was filled with jokes and laughter with little consideration of the competition and more about having a good fun day shooting with friends. Thanks guys. There were some challenging shots out there though an Ermin at 3 yards and low to the ground. Sharon nailed this with a near perfect shot. 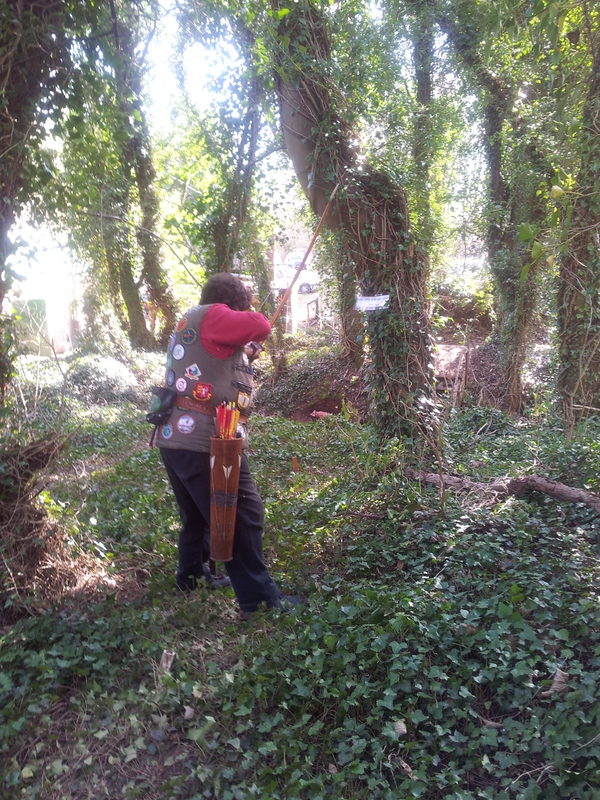 In fact she nailed the 2 smallest targets on the course, scoring 24 points on each. There were a couple of predator prey shots one being a crocodile 3d with a 3D goose in its mouth. There was also a deceptively difficult little 3d fox which caught a few people out. Another was a nice herd shot of 3 3Ds all deer of different sizes and distances. It was good to catch up with so many old friends who we hadn’t seen since moving house 18 months ago. SVYF came away with a few placings Chris Harley came second in longbow and Sharon and I managed to come away with firsts in Ladies and Gents Hunting Tackle. I’m sure that with the work the club has already undertaken and are planning it will go from strength to strength. 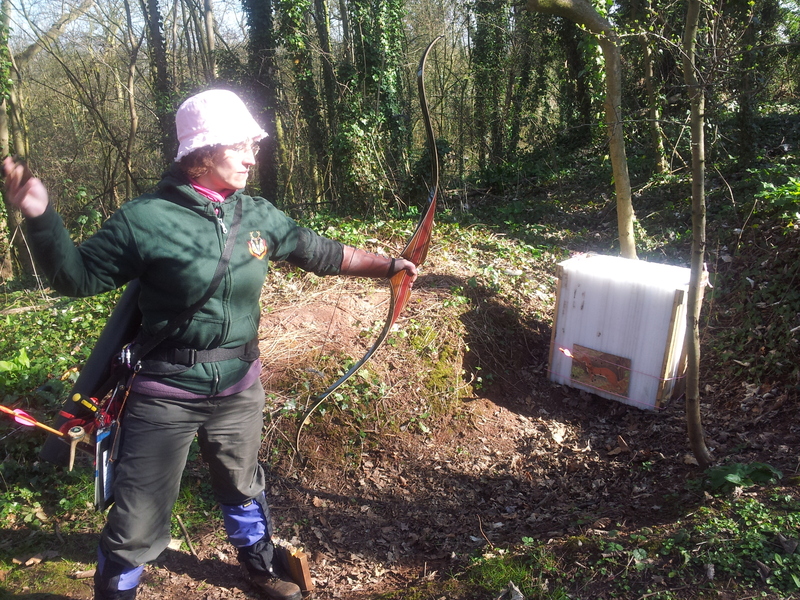 Many thanks for the report on Centaura’s shoot this week-end. I am pleased you enjoyed it.. I worked on the course but cannot make Sundays owing to other interests Brian Beardsley Centaura club member. Brian please pass on my thanks to all who put the effort in on the day ans before.